Dracula is a horror novel written by the Irish writer Bram Stoker. Bram Stoker published the novel in England in 1897. 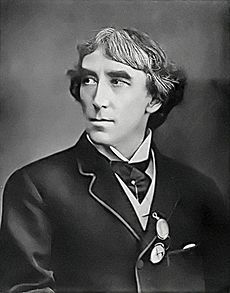 Sir Henry Irving was an actor and friend of Bram Stoker. The character 'Dracula' may have been based in part on Irving, and on Vlad III the Impaler. The story in the novel happens in England and Transylvania in 1893. The young solicitor (a type of lawyer) Jonathan Harker goes to the country Transylvania to sell a house to a nobleman named Dracula. He realizes that Dracula is a vampire. Dracula traps Harker in his castle and goes to England, then bites the young woman Lucy Westenra and turns her into a vampire. Then Dracula bites Jonathan's wife Mina. Because of this the other characters in the book, including Abraham van Helsing and Jonathan Harker, try to stop Dracula. 1922, Nosferatu, eine Symphonie des Grauens (Nosferatu, a Symphony of Horror). First adaptation of the novel. Directed by F. W. Murnau. Max Schreck has the role of Count Orlok. The movie director could not get permission to use the actual story from Stoker's widow, who ordered many copies of the movie to be destroyed after its release. 1931, Dracula. 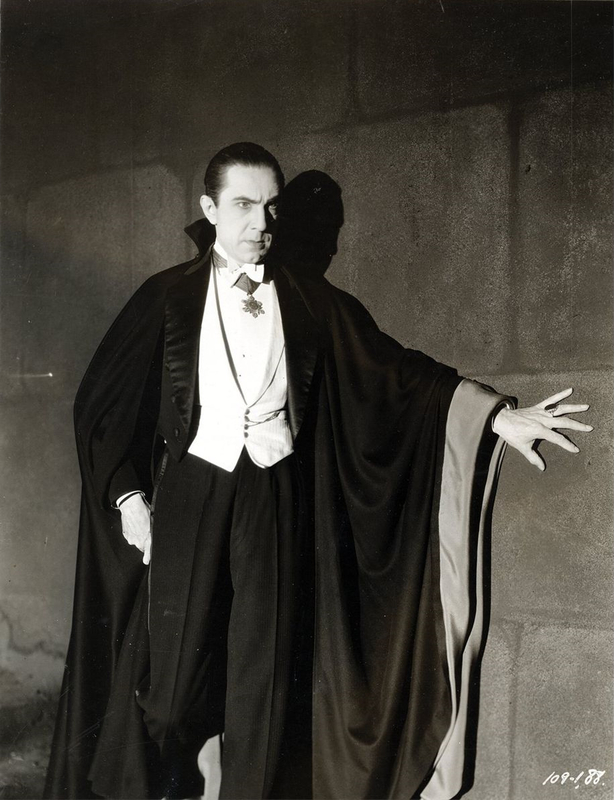 Horror, directed by Tod Browning and starring Béla Lugosi as Dracula. 1958, Horror of Dracula. Horror, stars Christopher Lee as Count Dracula. 1979, Dracula. Horror, stars Frank Langella as Dracula. 1979, Love at First Bite. Comedy, stars George Hamilton as Count Vladimir Dracula. 1992, Bram Stoker's Dracula. Horror, directed by Francis Ford Coppola and starring Gary Oldman as Dracula. Dracula: Dead and Loving it. Comedy, directed by Mel Brooks and starring Leslie Nielsen as Count Dracula. Van Helsing is a 2004 movie that has Hugh Jackman as the title character (Gabriel Van Helsing) and Richard Boxburgh as Count Vladislaus Dracula. 1899 first American edition, Doubleday & McClure, New York. Dracula Facts for Kids. Kiddle Encyclopedia. 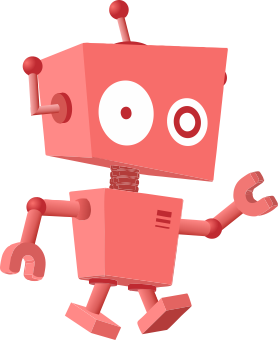 This page was last modified on 23 April 2019, at 05:41.